Lead the regional Field Sales Force in achieving the sales objectives for the sales area as set in the Customer Marketing Plans and Customer Business Plans. Co-develop Field Sales Force Strategy together with Customer Development Director. Lead and plan sales resources in sales area and lead sales force projects. • Implement and execute Customer Development strategy and objective in line with company’s objective/vision. • Responsible for delivering both primary and secondary sales target for the region in line with the National targets. • Prepare and Implement JBP (Joint Business Plan) with the Distributors and to review those against set targets. • Develop coverage plan for the sales region to achieve the coverage targets (i.e. Distribution man power, logistic, outlet number, channel exclusivity etc). • Preparing Regional distribution strategy in line with Nation/by category and by brand strategy. • Execution, upkeep & maintenance of the Regional merchandising budget and implement to the POP (Point of purchase) level as per the plan in line with National. • Develop and implement operational sales plan for the region to meet sales target (both in value and volume terms), distribution targets. • Input into channel architecture development and abreast of developments in trade structure. • Recommend region/channel specific activities and input to CAP particularly in the context of the competitive scenario. It also includes effective and efficient execution of channel specific programs (retailers’ scheme, shopper loyalty programs and other trade promotion and visibility drive). • Manage and evaluate distributor operations in the region to ensure consistent achievement of sales targets, Regularity of stock lifting, Cost efficient route coverage, Adequate ROI etc. • Ensure distributor and sales forces in own area adhere to guidelines for stock rotation, handling damage/Trade returns, thereby minimizing the returns. • Managing new launch/re-launch and ensuring the availability and visibility to the trade level in least possible time frame. • Develop people skills/capability in the region, own and distributors’ people through – class room training, on the job assignments, mentoring etc. • New channel development in the region. • Degree in a Business-related area. We are a highly entrepreneurial fast-paced team running a multi-billion Euro business across 60+ countries with the mind-set of a start-up! We are agile, creative, fast-to-market and obsessed with customers and consumers. About Upfield! 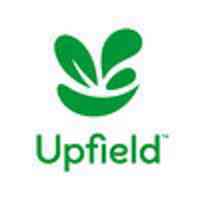 Upfield is a global leader in plant-based nutrition with a great history and a portfolio of iconic brands that people have used and trusted for generations. This includes Flora, Rama, Becel, Blue Band, Country Crock, I Can’t Believe it’s not Butter and ProActiv. We are a global food company with 6 business units operating in 95 markets. We have the mind-set of a start-up. This makes us fast, agile, entrepreneurial, cost conscious and accountable for our products – from seed to serving at the breakfast, lunch or dinner table. We take quality seriously and around the world we taste products every 30 seconds. We take our consumers seriously and more than 150 people will taste test each of our new innovations before they hit the shelves .